MOSCOW, October 30. /TASS/. 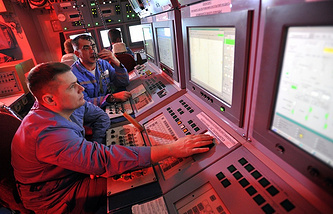 The first advanced version of the nuclear-powered ballistic missile submarine Project 955A Borei-class (North Wind) - the Knyaz Vladimir (Prince Vladimir) - will be floated out this coming November, Commander-in-Chief of the Russian Navy, Admiral Vladimir Korolev, said in an interview with the Krasnaya Zvezda newspaper. "In the near future, the Severodvinsk-based Sevmash Shipyard will float out a new nuclear powered missile underwater cruiser, the Knyaz Vladimir, from the slipway. The event will take place in November," he said. Korolev earlier said that the fourth Borei-class boomer was supposed to have been floated out in August. The Knyaz Vladimir was laid down in 2012 and will become the fourth submarine in the series of eight Borei-class underwater cruisers and the first submarine of the advanced Borei-A Project. Three subs of this class have already been delivered to the Navy. 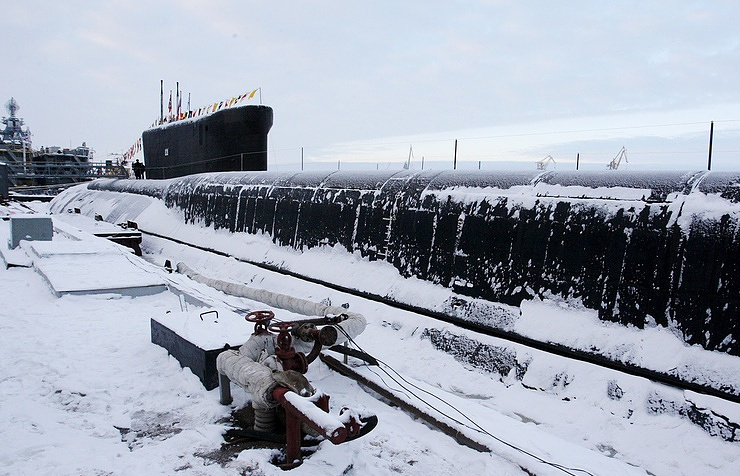 In 2014, two submarines - the Knyaz Oleg (Prince Oleg) and the Generalissimus Suvorov - were laid down. In 2015, the submarine Emperor Alexander III was laid down and in 2016 the keel of the submarine Knyaz Pozharsky (Prince Pozharsky) was laid. Each of these submarines carry 16 Bulava intercontinental ballistic missiles. Deputy head of the Russian Navy, Viktor Bursuk, said earlier that the Knyaz Vladimir underwater cruiser is to be delivered to the fleet in 2018.